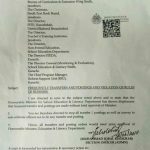 Government of the Sindh, Education & Literacy Department has issued Notification No. 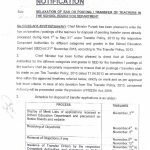 SOI (SGA&CD)-2/1/2014(E-34) dated 5th September 2014 in connection with Transfer Posting of Associate Professors of Education Department Sindh. In continuation of this deartment’s Notification No. 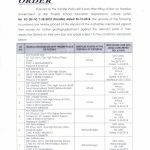 SOI(SGA&CD)-1/8/2014 dated 29th May 2014, on promotion to BPS-19,on regular basis the following (mentioned in the list) transfer & postings of Associate Professors Collegate Branch (Male Side) BPS-19 Education & Literacy Department are hereby made with immediate effect and until further orders as shown against each. 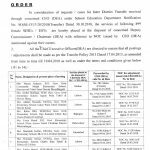 Note: This is only one page published here, others pages can be obtained by sending me amail. 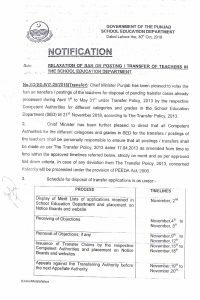 Special thanks to Mr. Salim Kehar for sending the copy of the transfer orders. 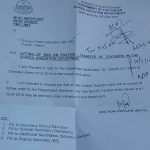 Dear nasrullah yeh to department hi bata sakta hay keh wo kab Notification jaari karain gey. 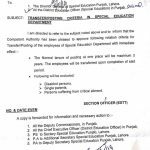 Aap department kay contact ker kay maaloom karain key latest position kia hay. 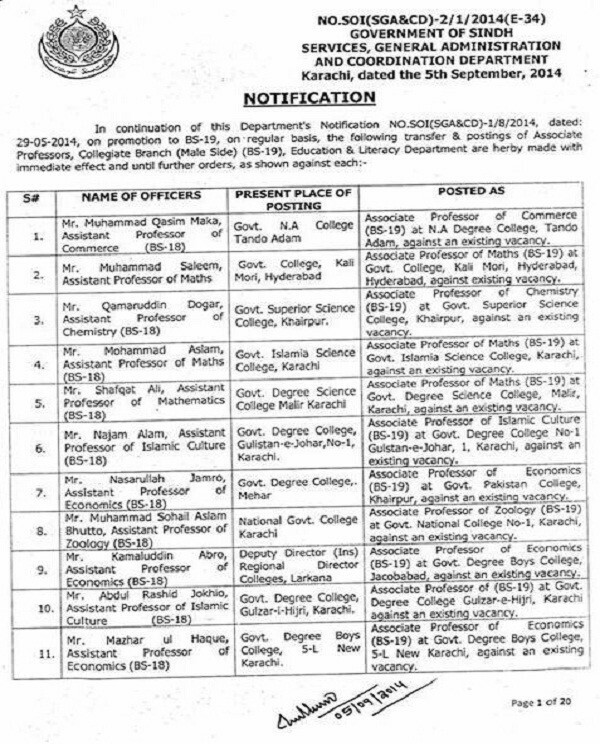 madam plz mail me associate professors full copy of notifcation of sindh. Dear Haji Shafi just check ur email inbox.